Hydroxycut� dietary supplement and weight loss products were recalled today by the manufacturer and distributor because of an association with serious liver injuries, including death due to liver failure. The Food and Drug Administration FDA issued a warning to consumers to immediately stop use of all Hydroxycut products, and posted a letter to all Health Care Professionals, warning of a potential risk of severe liver injury from the use of these products. Hydroxycut side effects include Reported adverse events included hyperbilirubinemia, jaundice, liver damage, liver transplant and death. None of the 23 reported cases had any risk factors or diseases associated with liver disease or injury. In some instances, discontinuation of the Hydroxycut product resulted in recovery of liver function. We will call or write you back within 12-24 hours. 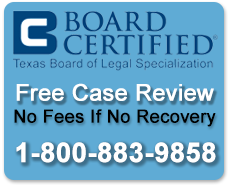 This is an Attorney / Lawyer Advertising Website. It is not a medical information, medical dictionary, medical advice or medical help site. Talk to you own treating Doctor about any questions or concerns that you have concerning any medicine, drug, medical device or treatment plan. Do not rely on any information on this site to alter, stop or change any medication or treatment plan by your prescribing or treating Doctor. Many of the drugs and devices listed here on this site have published risk and warnings associated with their use and have not been recalled. This website is not in anyway connected with any drug company or the FDA.Check with your Doctor, Pharmacy and/or the FDA as to any concerns as to their use, recall status and safety. See http://www.fda.gov/ for the latest information.